Mount Royal University Library is an integral part of the MRU experience, supporting deep learning and innovative teaching and scholarship. The Library fosters intellectual curiosity, creativity and exploration, where people find new answers and develop new questions. The Library team engages our diverse communities by sharing our expertise through a range of intriguing programs, excellent services and rich information resources in a welcoming, technology-enabled environment. With the opening of the new Riddell Library and Learning Centre, we have introduced exciting new spaces, tools, and services dedicated to exploration, creation and sharing. An immersion studio that enables 360º projection to enhance experiential learning and research as well as a venue for virtual reality explorations. These spaces are animated by our expert team of staff and faculty which includes new roles such a maker studio lead, a visualization specialist and a media designer. Our growing collection comprises 535,000 monographs and over 81,000 journal titles in digital and print formats. Specialized data collections, music, image and video resources, along with expanding archive and special collections are also an important part of our Library resources. 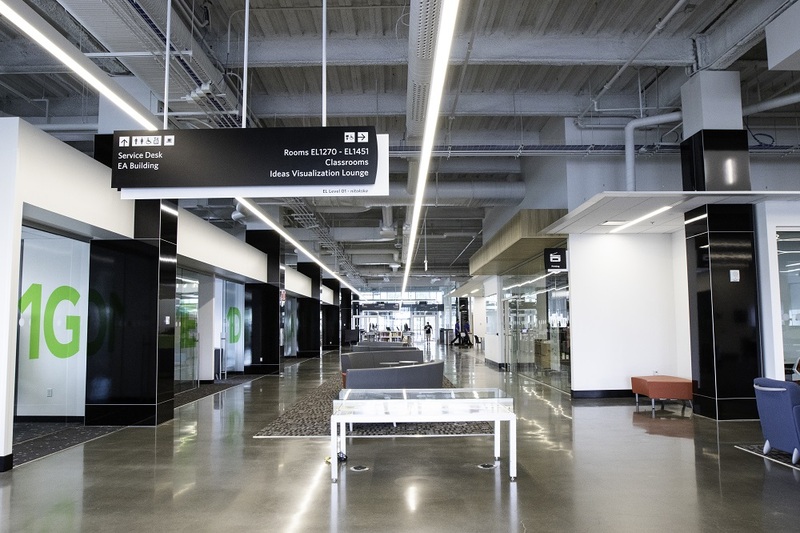 Mount Royal University Library: Igniting exploration, learning, creation, and sharing. Mount Royal University Library is an integral part of the MRU experience, supporting deep learning and innovative teaching and scholarship. The Library fosters intellectual curiosity, creativity, and exploration, where people find new answers and develop new questions. The Library engages our diverse communities by sharing our expertise through a range of intriguing programs, excellent services, and rich information resources, in a welcoming, technology-enabled environment. Enhance outreach to MRU's diverse communities through strategic marketing and community-tailored programming. Evaluate and meet user needs through highly responsive and accessible services, adaptable spaces, and technological innovations. Enhance collaboration within our team and with our building partners to provide innovative and improved experiences to users. Increase the value and impact of the Library's online presence as a critical teaching tool and a virtual destination of choice. Promote the Library as a knowledge catalyst, generating ideas, fostering connections, and combining expertise and information to create knowledge. The Library team is comprised of approximately 60 talented and dedicated individuals who share the common goals of enabling student success and providing excellent service. The team is made up of approximately 17 full-time equivalent faculty librarians, 37 full time equivalent staff members, six managers/administrators, along with a number of student casuals and part-time staff. We support approximately 11,500 full and part-time students and approximately 2,500 faculty and staff, and have an important role to play in outreach and community engagement beyond the University. The Library organizational structure helps define roles, responsibilities and accountabilities, while cross-functional teams, working groups and committees ensure an integrated, evidence-based, and strategic approach to projects, initiatives and the ongoing success of the Library. The Library is a key unit within Academic Affairs and includes both faculty (librarians) and academic staff members, along with exempt and management members. The Library Leadership Team comprised of the Library Chair, the Associate Dean, University Library, Public Services, the Associate Dean, University Library, Collections and Digital Services, and the Library Operations Officer, which provides advice to the Dean, University Library and works together to provide strategic leadership for the Library. The Dean, University Library reports to the Provost and Vice-President Academic and is a key member of Dean’s Council, as well as other key institutional and academic bodies. The Dean, University Library also serves on the General Faculties Council along with Library faculty (librarian) representatives. The Library Faculty Council, including standing and subcommittees such as the Library Scholarship Standing Committee, the Library Faculty Curriculum Committee, Roles and Responsibilities Committee, etc. provides oversight and guidance on academic decision making matters. The Library Standing Committee of the General Faculties Council (GFC) includes elected GFC Counsellors from across all faculties. This body provides advice and input to the Library regarding faculty academic needs and matters. The Library has a Student Library Advisory Committee which provides a valuable venue for students to provide input, advice and suggestions on matters related to Library operations and services. All interested students are welcome to join these meetings which are held a couple of times each term. The Library also employs a number of internal committees, working groups, and teams to ensure successful operations and achievement of its vision and strategic plan priorities. Library users are responsible for their contribution to an environment that is conducive to learning, study and collaboration in the Library and for demonstrating respect for the spaces, equipment, facilities and others in the space. Non-academic misconduct will not be tolerated within the Library and can be reported to Security and Library Staff. 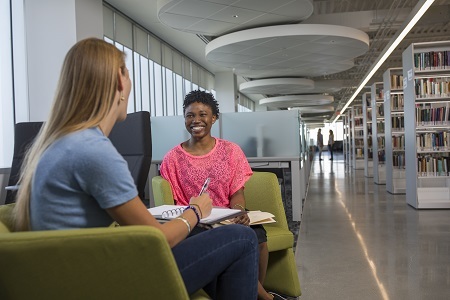 In keeping with our mission, the Library spaces in the Riddell Library and Learning Centre are designed to support the learning, teaching, and scholarship-related activities of our students, staff, faculty, and community. The MRU Library collaborates with other campus entities to support promotion of Library programming, resources and services, campus programming and events, student supports and services. Commercial advertising of products and services is generally not permitted within the Library and will be removed. Viz Lounge / Digital display: When the visualization wall in the Ideas Lounge is not programmed, we will be showcasing a curated list of programming service announcements that promote and supports programming that benefit the members of the MRU community. Poster tackboards: Print / Photocopy rooms and washrooms on each floor contain tackboards that are open for postering use by the Library, RLLC building partners and other MRU community members. These tackboards are available on a first-come first served basis and we ask that users do not remove or obscure posters for upcoming programming or initiatives. Outdated posters are periodically removed by library staff and at all times the MRU Library reserves the right to exercise the discretion to remove materials that are not aligned with the above. At no time may posters or temporary signage be tacked or taped to walls, surfaces or furniture in the Library. The personal information that you provide to Mount Royal University is collected under the authority of the Post-Secondary Learning Act and the Freedom of Information and Protection of Privacy (FOIP) Act (Alberta) – section 33(c). The information will be used to provide Library Services to patrons. Collected personal information can be reviewed subject to the provisions under the Act. This website is licensed under a CC BY-NC-SA 4.0 license. However, this website also contains copyright protected works owned by third parties. Such third-party works are not covered by the CC license. If you wish to use or reproduce such third party works, you must contact the copyright owner for permission. Library history video - released in conjunction with Riddell Library and Learning Centre grand opening on September 7, 2017. For more information on MRU's 100 plus years of history visit the Mount Royal University Centennial page. Lincoln Park Campus opens including the Library. Campus approach to instruction was based on the Leggett model. Library design was based on vast open concept with local Resource Islands providing support and resources for faculty and programs within “departments”. Library’s open concept and honour system for borrowing becomes problematic and security gates are installed. Media resources collection and services becomes part of the Library. Open concept design proves noisy and is renovated to create quiet study areas. Heritage Fund grant was received dedicating $9 million dollars for collection improvement. Card catalogue dismantled and new online catalogue introduced (Multilis System). $1.6 million dollars received to strengthen collection in support of applied degrees. Library relocated while major renovation begins. Library renovation was planned to address student growth and demand for the next five years. Library review identifies need to grow Library in terms of faculty and staff, as well as collections. Library enhancements becomes Mount Royal College’s highest facilities priority and a focus point for the transition of Mount Royal College to Mount Royal University. Provincial government provides $2.8 million in funds to plan new Library and Learning Centre. Mount Royal College officially becomes Mount Royal University. Library takes on official responsibility for the University Archives. Library spaces reorganized to address persistent noise issues. Clay Riddell becomes named donor for the Riddell Library and Learning Centre. Provincial Government provides support for construction of the Riddell Library and Learning Centre, with the ground breaking taking place that same year. Library restructuring and planning for new services and programs in Riddell Library and Learning Centre is started. Building planning and design along with community consultation underway. Construction is completed and Library moves into new Riddell Library Learning Centre on June 26 2017 for its soft launch. New Library includes visualization spaces, a maker studio, audio production rooms, an immersion studio, new library classrooms, a special collections and archives area, 34 group rooms, quiet reading rooms and lots of student study space. Other building partners – Academic Development Centre, Student Learning Services, Institute for the Scholarship of Teaching and Learning, and Department of Education – move in over the course of the summer. September 7th 2017 Grand Opening!